We offer a broad-based curriculum focused on developing family medicine physicians to provide comprehensive, compassionate, and patient-centered care for patients of all ages. Through our program, qualified and dedicated physicians gain the skills and experience necessary to be among the best in their fields. They are well prepared to excel in a variety of practice settings and to assume leadership roles in today’s changing healthcare delivery system. 1972 The College of Community Health Sciences is founded at The University of Alabama in response to the country’s acute need for more physicians, particularly in small towns and rural communities. Dr. William R. Willard, a nationally recognized leader in community and family practice and credited with developing the specialty of family medicine, is hired as dean. 1974 The College launches the Tuscaloosa Family Medicine Residency and recruits its first resident. 1975 The College’s first outpatient clinic, a 30,000-square-foot multi-specialty community practice, opens, forming the base of the College’s clinical teaching program. The opening of the Family Practice Center is attended by Lady Bird Johnson, wife of former President Lyndon B. Johnson. 1976 The first class of the University of Alabama School of Medicine students who completed their clinical education at the College (third and fourth years) graduate. 1976 Dr. William deShazo is recruited as the first long-term residency director. deShazo, head team physician for UA’s football team and personal physician to head football coach Paul “Bear” Bryant, introduces a sports medicine rotation into the residency curriculum. 1982 College expands Family Practice Center and renames it Capstone Medical Center, adding more than 7,000 square feet of clinical space with new exam rooms, ob/gyn suite, minor surgery and procedures, and new waiting rooms. 1993 Number of patients at Capstone Medical Center grows to 13,800 and they make 70,000 office visits per year. 1996 College grows to 35 full-time faculty, 46 part-time faculty, and 95 staff members, including the nursing staff at Capstone Medical Center. 2001 College creates the Institute for Rural Health Research to research health concerns of Alabama’s rural citizens. 2002 Introduction of electronic medical record at Capstone Medical Center. 2004 A new building housing the College, its residency, and outpatient clinic opens. The outpatient clinic is renamed University Medical Center and soon is the largest, multi-specialty community clinic in West Alabama. 2013 The residency is renamed The University of Alabama Family Medicine Residency. 2015 College opens a family medicine and obstetrics practice in Northport, Alabama. 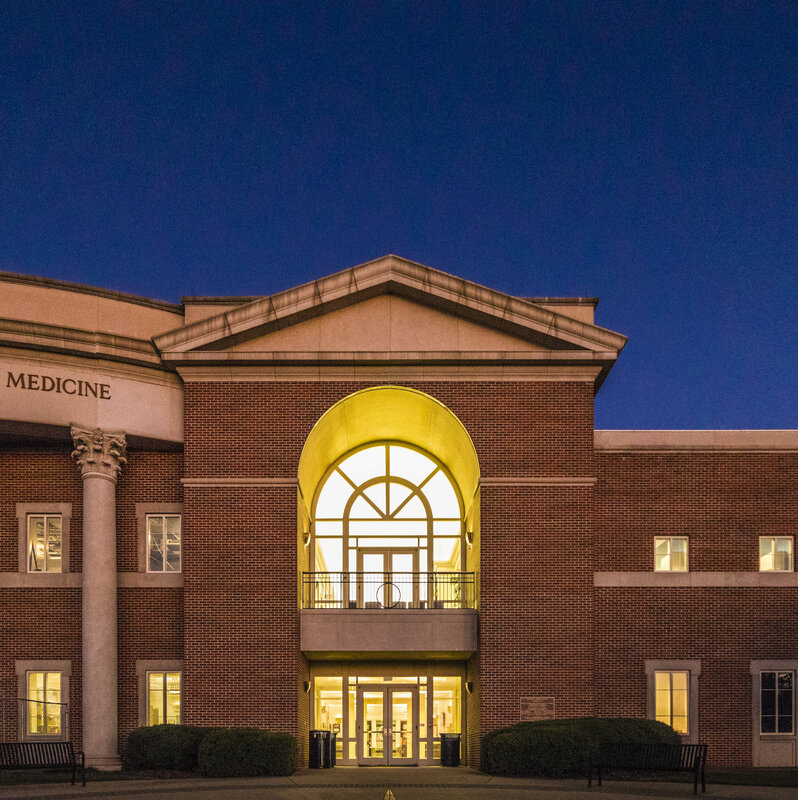 2017 College opens a family medicine and prenatal care practice in Demopolis, Alabama; College grows to 379 employees, including 64 faculty, and its clinical enterprise records more than 145,000 patient visits; University Medical Center Family Medicine and Pediatric clinics certified as Patient-Centered Medical Home. 2018 A total of 488 physicians have graduated from The University of Alabama Family Medicine Residency since its founding.